Well, 18-year-old East London singer, Cosmo Pyke has the smoothest voice you'll hear today. The young vocalist has offered up his debut single 'Social Sites' and it's a welcoming introduction as Cosmo blends his bluesy cadence with modern social media oriented themes. It's a nice juxtaposition and we're looking forward to hearing what else he has in store for us in the future. LA-based artist, Miya Folick has debuted her new track 'God Is A Woman,' with piercing vocals over soft rumbling production. The track was first heart on Zane Lowe's Beats 1 show and it follow's the release of Miya's Strange Darling EP, which was released last year. Nottingham band, Kagoule are heading out on tour in support of Spring King. Their dates kick off today so it's only right the group that the group has unveiled the live performance video of their track 'Open Mouth.' The song is a reflective tracks from the band's 2015 debut album Urth. Watch and listen and find all upcoming tour dates below. 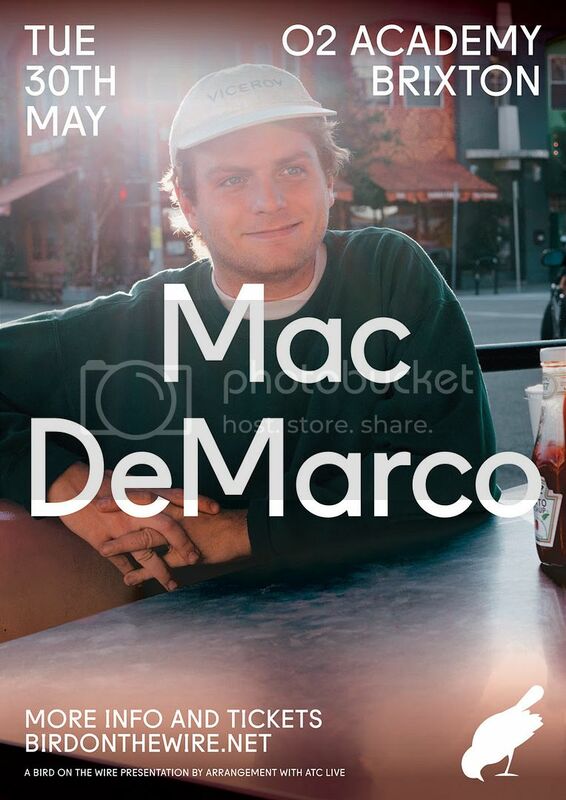 Mac DeMarco has announced that he'll be performing his biggest London headline show to date at the O2 Academy Brixton next May. It follows two smaller shows at Electric Brixton and KOKO last June. Find information about the forthcoming show below.